The EIBTM Technology Watch is the most significant and longest running technology award for the meetings industry. The goals are to recognize technology innovation and to highlight significant trends impacting meeting planners, attendees and exhibitors at events. The winner and five honorable mentions for were selected from a tie-breaking record 56 applications. Six judges with experience in the meetings industry and technology but not currently selling any technology product scored the entries based on innovation, completeness of concept, and the value to the meetings industry. The companies selected highlight several paths of technology innovation including the impact of video, event content curation/distribution, electronic course note/presentation file distribution, gamification, HTML5, indoor positioning and mobile matchmaking. This year’s EIBTM Technology Watch award winner for meetings technology innovation goes to BOBtv from bXb Online, a global online event platform designed specifically for events and associations. It is a standardized way of making event content available to remote attendees either live or on-demand. Endorsed by major meeting industry associations such as PCMA, ASAE and IAEE, this vendor-agnostic platform will curate event content and make it readily available to potentially a much larger global audience. The judging committee felt that two significant trends were shown in this entry: the move toward video as an event communication vehicle and the increasing ability to provide event content remotely for hybrid meetings. In essence, BOBtv, or similar technology, has the ability to become the moderated “YouTube” channel for event communication. ATIV Software’s EventPilot is very robust interactive conference program/show guide mobile app built for large, complex scientific meetings with thousands of presentations and poster sessions. Provided in multiple native platforms including iPad, tablets and phones, it has a host of features to improve the attendees’ experience including a complete and searchable conference schedule, personalized agenda builder, rich social media integration, mapping, networking, QR code integration, and sponsorship advertising opportunities. Similar features are found with a number of event apps. The differentiator is the ability to for the attendees to read and take notes on presentation slides during the presentation. Similar capabilities can be found with posters and other documents. The presentation slides with notes then can be emailed to the user or other interested parties. This ability to attendees to see and take notes on presenter slides increases retention of the material and bridges a significant gap where events have gone paperless and no longer provide presenter notes in paper form. MERA Labs NiceMeeting also provides presentation slides to attendees electronically with some additional features. The product turns attendee’s mobile devices, such as iPad, iPhone, Android tablet as well as notebook computers, into a full-featured personal presentation slide display units by enabling real-time presentation screen mirroring, chats, polling and files exchange between delegates. Speakers can use personal iPads and other devices to manage presentation, get questions from the audience and do polling. Event organizers can place sponsor’s adds in the service interface and grow their earnings from sponsorship. Unlike EventPilot, NiceMeeting operates as a service rather than an app using local WiFi networks. EventMobi is included for honorable mention for their pioneering work using HTML5 to produce rich, multipurpose apps for event attendees. With a few limitations, HTML5 is a simpler, faster and cheaper development app development model compared to building native apps and is reflected in lower costs and faster turnaround time. EventMobi Fusion is the industry’s first ever event app that works across all devices and continues to function without an internet connection, allowing attendees to access their event app whenever and wherever without worrying about an unreliable internet connection. Also recognized as part of EventMobi’s effort is their GamifyApp which consists of three different games, each designed to help meet different event objectives. They include Scavenger Hunt used to enhance team-building, Session+ used to enhance the educational experience at sessions, and Expo Game used to drive traffic to exhibitor booths. The use of mobile games to engage attendees, enrich the event experience and increase attendee retention is felt by the judging committee to be a very important trend. GamifyApp is one of the best examples on how this can be implemented for events. Zerista is yet another multi-featured event app and web platform including attendee information, conference agenda, interactive mapping, surveys, social networks, exhibitor collateral, and matchmaking tags. Hyper relevant personalization and matchmaking for attendees. Automatic qualified lead generation and sales intelligence data for CRM systems for exhibitors. Sherpa has consistently been an innovator for the meetings and tradeshow industries. A past winner of the EIBTM Technology Watch, Sherpa’s entries this year included three important advances. WaveLocator is a unique indoor positioning system using ultrasound. Since GPS does not work indoors, and Wi-Fi-based systems can’t work on the iPhone, Sherpa came up with a new twist. Combined with ActivTouch, Sherpa’s mobile app, the microphone of the user’s SmartPhone receives specific codes used to help attendees to quickly identify their current location in the venue and map routes to discover different events, products, or exhibitors. Even better, users can quickly locate their friends and business acquaintances. WaveLocator, thanks to its quick set-up and accessibility via many types of mobile devices may be the best option for precise geolocation for events. ActiveMetrics, is a unique attendance measurement system using the Wi-Fi signals transmitted by the attendees’s smartphones to generate heat maps to determine traffic patterns within an exhibit hall or meeting venue at a lower cost and more efficiently that previous methods of determining traffic flow. Finally, Sherpa’s new version of their robust convention and exhibit guide apps (and winner of the 2010 WWTW Award) — ActivTouch V2, shows significant refinements from their previous version including advanced analytics, new customization options, and several new key modules like SmartReview, SmartRoute and ActivContact, all designed to help attendees better prepare their participation, manage their time on site and meet their business contacts. The large number of entries (56 entries) points to the vitality of the meetings and trade show industries and how technology is increasingly used to improve the way events are managed. A number of trends were highlighted in analyzing the entirety of entries. As in the past year, mobile technology innovation was dominant (15 entries or 26% of all entries had a strong mobile component. Other trends include: Lead exchange/OR codes (12%) eRFP/sourcing (11%), social media/matchmaking (9%), room diagramming/floor plans (9%), gaming (9%), registration and/or abstract management (7%),.document distribution (7%), and virtual events/tradeshows (5%). EIBTM is one of the largest tradeshows in the meetings industry. The 2011 meeting had over 15,219 participants from over 90 countries. Included were 3,961 hosted buyers — top-level decision-makers bought to the event as part its Hosted Buyer Program. This year’s show dates are 27-29 November in Barcelona. Technology changes in the past three decades have been astonishing for both the meetings industry and for society in general. To see how far we have come, I felt it would be helpful to put together this chronological list of significant technology milestones with societal technology events in “black” and meetings industry innovations in “red.” These list is far from comprehensive. Send me your major meetings technology milestones to include! Worldwide, the number of computers in use is 1 million. Conferon develops a system of wireless headsets and beepers for meetings that is designed to improve on-site communication. This is before the widespread use of portable radios. Several registration companies (Galaxy Information Services, CompuSystems, and Registration Control Systems) offer basic computerized badge production and lead retrieval (via embossed plastic “credit” cards) to the trade show industry. Before these cards, exhibitors wrote down attendees’ badge numbers, which the registration company later matched to the contact information. Galaxy provides the first computerized on-site registration. Using 12 registration stations transmitting over one 1,200-baud modem, this innovation eliminated the need for an on-site mainframe computer. Ray Shaw of Intermedia in Brisbane Australia imported U.S. computer components to build a CP/M computer. He wrote “Camputer” which lead to Version 1 of EVENTS which eventually became Amlink. A 400-person conference was run on Events V1 during the year. The original program was a flat database, produced nametags, rooming lists, reports and confirmation letters. It took about a week to set up the software for each conference. Commodore VIC-20 hits the market — the first color computer for less than US$300 — and sells more than 1 million units. The monitor was a TV set, the storage was a cassette tape, and the “killer apps” were video games. MeetingPro, the first database software for the meeting industry, is released for continuing medical education events, enabling personalized confirmation letters, big-print name badges, accurate attendance lists, and basic market tracking. This product was later renamed as PeopleWare. Compression Labs begins selling US$250,000 video conference systems with US$1,000 per hour line charges. Eric Orkin launches Delphi Management Systems, the first comprehensive meetings and group sales, marketing, and catering software for the hospitality industry. It became Newmarket Software in 1985. Events V2 (which eventually became Amlink) was rewritten in PL1. This reduced the customization time to less than a day per event. This was run on a 24-user MP/M computer which connected to a Compugraphic typesetter to produce abstract books, conference publications etc. Apple releases the Macintosh Computer, the first widely produced computer with a mouse and a graphical user interface. Events V3 (which eventually became Amlink) was demonstrated a Technicongress in Paris. This was the first meeting planning software suite seen in Europe. Microsoft releases Windows 1.0 in is initially sold for $100. CD-ROMs is released with the ability to store 270,000 papers of text on a single disk. Phoenix Solutions releases MeetingTrak 1.0, another very early meeting planning relational database product. The first badge making software, PCNametag, is introduced at MeetingWorld in New York. Using a dot-matrix printer, it could produce 120 badges per hour. Attendees lined up three deep to see the product. The first IBM PC virus in the wild was a boot sector virus call Brain. The first commercial mailing list program called LISTSERV is developed by Eric Thomas. Compaq introduced the first 386-based PC compatible computer. MeetingMatrix, the first room diagramming software created and released by E.J. Siwek. Meeting Industry Microcomputer Users Group is formed by Judith Mathews. For several years, MIMUG met before the annual meeting of Meeting Professionals International (MPI). The tabletop software displays were among the first technology education for the meeting industry. The first association focusing on meeting technology is formed. The association, its name lost to history, lasted about two weeks before being co-opted by MPI to become the Computer Special Interest Group. PowerPoint 1 (originally called Presenter) is released. It provided only black-and-white images, had only one transition, and ran only on Macs. IBM and Sears joint “videotext” venture starts operation under the PRODIGY name. 1D barcodes emerge as the first generation of paper-based automated lead systems for tradeshows. Sixteen hotel chains contribute $100,000 each to fund a startup company, The Hotel Industry Switch Co., to electronically link the global distribution system companies, such as Sabre, with hotels’ computerized reservation systems. THISCO eventually became Pegasus, and now processes more than 300 million transactions per month. From 1987 to 1989, the global number of fax machines more than doubles to 2.5 million units. The number of computers in use worldwide reaches 100 million units. The Internet bulletin-board system Quantum Computer Services acquires a new name, America Online (AOL). From 1989 to 1998, AOL grew from 100,000 members to more than 14 million members. PCNametag and LasersEdge develop software for laser-printer badges. McNametag, one of the few meeting-industry software programs ever written for the Macintosh computer, is released. Computer companies introduce notebook computers with advertisements showing happy users with their “freedom machines” by pool sides. PlanSoft begins development of Ajenis, the first attempt to standardize meeting specification communications between meeting planners and hoteliers. The software eventually rolls out in 1995 but is not widely adopted, in part because of rising competition with early web-based tools. School Home Office Products Association is the first group to use smart cards (plastic cards with integrated computer chips) for lead retrieval at its trade show. At the start of 1993, the web had a total of 130 sites. America Online and Delphi started to connect their proprietary email systems to the Internet, beginning the large scale adoption of internet email as a global standard. Apple computer introduced the first PDA (personal digital assistant) called the Newton. MPINet, the first online discussion group for meeting professionals, is created as a forum on CompuServe. The formation committee of 16 people met in December 1993, and the service went online the following month. It grew to more than 2,600 members before closing in 1997 losing ground to web-based forums. Laurence Canter sent the first spam e-mail — “Green Card Lottery 1994 May be the Last One!! Sign up now! !” — creating a huge uproar in the internet community. As a result, Canter lost his job, and his Internet service provider cancelled his subscription. To keep track of Web sites of interest to them, two Stanford students created “Jerry’s Guide to the World Wide Web” which soon was renamed Yahoo!. The first software product to track meeting spend and sourcing is introduced by McGettigan Partners (now Maritz). This evolved into Core Discovery, originally provided only to McGettigan clients. In 1998, the company released an upgraded version with a web interface to the general public under the name Real-Planner. In 1999, this became a separate company, StarCite, with a package of Web-based sourcing, attendee management and spend-tracking solutions. Registration Control Systems and Galaxy provide magnetic stripe cards for trade show lead retrieval. The number of U.S. homes with one or more personal computers increased by 16% in 1995 to about 38 million households, up from 33 million in 1994 and 25 million in 1993. Conferon creates a separate entity, PlanSoft (later known as Mpoint), the first comprehensive searchable meeting facilities online database and RFP (request for proposal) engine. This was a unique consortium of a privately held company (PlanSoft), two associations (MPI and the American Society of Association Executives), and three hotel companies (Marriott, Sheraton, and Hyatt). Plansoft.com came online in 1997. Reed’s InterMedia trade show is the first to use two-dimensional barcode paper-based lead badges, allowing exhibitors to extract full contact information directly from a badge. Holiday Inn opened the first hotel Web site with online purchasing of sleeping rooms. The first online meeting-registration tools emerge — all hand-coded by programmers. Lee Travel took over Internet World Tradeshows to managing housing. They provided the first housing web site in 1996 to track room blocks and real time housing inventory. From Lee Travel grew b-there.com in 1998, one of the major pioneering attendee management, housing and meetings consolidation products. Their product was originally called ERS – Event Reservation System and was one of the first template-driven housing and registration products. B-there was later purchased by StarCite. Microsoft NetMeeting, a web collaboration tool, is released with Windows95, allowing people to use their computer to “meet” and work together from remote locations. It was soon joined by WebEx (1996), PlaceWare (1996), and others to provide audio, slides, screen-sharing and file-sharing collaboration capabilities. The San Francisco Miyako Hotel (now the San Francisco Radisson) provided the first online request for proposal, built by Cardinal Communications. Passkey, one of the first online housing companies, is founded by hotelier Bob Motley and Brian Layton. The first Passkey-enabled single property meeting was for the New Orleans Sheraton Hotel for 900 people in 1998. Cardinal Communications creates the Meeting Industry Mall, the first Web-based interactive meeting industry portal. From this grew the MIMlist, the first listserv for meeting professionals. Most of the major hotel corporations and meeting industry associations developed web sites. The first template-based meeting registration tool is released by RegWeb by Cardinal Communications. This allowed planners to set up semi-customized registration pages without a web designer. This is the precursor to the thousands of meeting industry application service providers to follow. Google opens workspace in a Menlo Park California garage in September and is recognized as one of the “Top 100 Websites” by PC Magazine in December 1998. ExpoCardWeb started allowing exhibitors to access leads via a web-based tool. AllMeetings.com provides a free online meetings cost-analysis tool. Lee Travel provided the first generation of an online integrated housing, registration, and air-booking product that incorporates zone fares. In April 1998, the Open Source Summit event was held. This was a pivotal event significantly boosting the idea of free, publically developed (open-source) software. This has grown into a much lower price and faster software development model including the Linux and Android operating systems and hundreds of thousands of mobile applications. Several pundits predict total a computer system collapse because of the Y2K bug (the inability of older computers to distinguish between the year 1900 and the year 2000). Almost no problems are encountered in the New Year, but fears lead to major system upgrades throughout the global corporate environment. HotDatesHotRates.com became one of the first websites to offer “distressed inventory” — hotel meeting space and sleeping rooms — usually at short notice and at discounted rates. September 1999 – seeUthere.com launched one of the event planning application service provider (ASP) products (renting web-based applications versus software installed directly onto a computer), with online credit card acceptance for registration fees. Evite.com at about the same time launched a consumer-oriented site, which was eventually purchased by Ticketmaster. Sixty percent of U.S. households own at least one computer. The LoveBug worm/virus infects 2.5 million PCs and causes an estimated $8.7 billion in damage. Application service providers (ASPs) explode onto the meeting planning scene, fueled by enthusiastic venture capitalist funding. Several of these companies do not last past the bust in 2001. The first virtual trade show, ExpoExchange, is held. SpotMe presented its mobile networking device in London, allowing attendees to see pictures and contact information of people standing within 30 feet (10 meters). Session information, audience polling, surveys, attendee lists and more were later added. This was the precursor of many mobile event apps seen today. GetThere Direct Meetings provided the first online group space reservation tool. This is followed in 2003 by other group room block reservation tools such as Groople and Hotel Planner, primarily for small meetings. APEX (Accepted Practice Exchange) initiative is started by the Convention Industry Council, the first voluntary standards initiative for the meetings industry. Apple released the iPod, which became the most popular MP3 player in history leading to a disruptive and sweeping change in the music industry. Wikipedia, the largest and most popular general reference site on the web was launched in 2001. It now has more than 17 million articles written collaboratively by volunteers around the world. Use of online meeting and collaboration tools such as WebEx and PlaceWare (now Windows LiveMeeting) spiked after September 11 terrorist attack in New York. November 12th: seeUthere.com and TRX ResAssist offer the first online, real-time group air-booking products. StarCite offers the first Web-based, two-way, real-time RFP tool for meeting space and rooms. Growing numbers of attendees search online travel site such Expedia (launched in 1996), Travelocity (1996), Orbitz (2001), and others — to find low-cost hotel accommodations at events. Booking “outside the block” creates significant attrition problems for planners. In 2004, to combat the problem, Hilton launched its Group Reservations Identification Program, allowing planners to compare registration lists with hotel guest room reservations and thereby account for all attendees staying at the hotel. Hyatt rolled out E-mmediate Meetings, an online meeting-booking tool designed for small meetings. From this came E-mmediate Response, the first real-time, two-way connection between an RFP site (in this case StarCite) and a hotel sales system. Web-based business meetings matchmaking programs are developed. The first was Columbia Resource Group’s Rio product. Others to follow were IntroNetworks and ExpoExchange’s Smart Event. Similar to the widely used social matchmaking programs, these programs assisted attendees to find people of like interests at meetings. These were the meeting industry precursors to Facebook and other social media sites. Mobile web logs (MoBlogs) are first used in a meetings setting with technology companies leading the way. Intel incorporated Wi-Fi (wireless internet receiving capability) in their Centrino chip opening a floodgate of wireless internet adoption in the next few years. Web services standards were developed making it much easier for different online programs to share data through APIs (Application Programming Interfaces). This allowed online databases and software to become much faster and easier to develop. In May, the amount of SPAM e-mail exceeded the amount of legitimate e-mail for the first time. A number of strategic meetings management programs (then known as meetings consolidation products) were developed and refined. Intellibadge was the first to use RFID (radio frequency identification) to track attendee movements in the exhibit hall and meeting rooms for IEEE meetings. The first product from APEX (the online glossary – http://glossary.conventionindustry.org/) was delivered. Many more products (voluntary standards) were later released including meeting history standards, site profile, requests for proposals, housing/registration, and green meetings. Google indexed more than 8 billion pages on the web. Facebook (limited to Harvard students only) started this year. The number of online bookings for Hilton Hotel exceeded those of their call centers for the first time. YouTube, the first video sharing site came online in 2005 and has grown to one of the most popular sites on the web. YouTube used more bandwidth in 2010 than the entire internet did in 2000. The two oldest meeting planning software firms (Peopleware and Amlink) merge under the Amlink name. Twitter, the micro blogging site opened with 140 characters maximum per message. iTunes downloaded its billionth file in May of 2006. Web 2.0 technology (later to be called social media) started to be used by the meetings industry including blogs, video blogs, and wikis (interactive web sites). The two largest meetings consolidation technology vendors, OnVantage (a merger of PlanSoft and SeeUThere) and StarCite (a merger of StarCite, b-There and RegWeb) merge. Mobile phone technology providers such as LogOn develop products for meetings including a variety tools such as product directories, networking functions, schedules, and audience voting via standard cell phones. Apple introduces the iPhone in June revolutionizing the mobile phone industry. More than 74 million iPhone were sold in the next 4.5 years. Google releases GoogleDocs providing free web-based spreadsheets and word processing tools. The South by Southwest (SXSW) Conference in Austin Texas became the tipping point in of popularity for Twitter increasing tweets from 20,000 to 60,000 per day (in 2011 this grew to 200 million tweets per day). Amlink merged with Certain Software in April 1, 2008. Active Network acquired two major online registration companies: RegOnline and WindgateWeb. Cvent launched the Cvent Supplier Network, the largest free marketplace that connects event planners with venues. More than $7 billion worth of group business flowed through the system in the next four years. Digital television became the broadcast standard in the U.S. and other parts of the world, opening the door to web-based TV services. Seasite.com launched: the first web-based RFP tool designed for meeting professionals to source cruise meetings and events. Apple introduced the iPad, another revolution in portable “tablet” computing. There are 4.7 billion mobile phone subscriptions (2 out of every 3 people on the planet). There are more people with mobile phones that have running water or toothbrushes. Skype provieded high-definition video conferencing. This gave planners the ability to stream good quality video signal for free at events. Mobile apps specifically for events and tradeshows saw explosive growth with hundreds of new companies providing services emerging. Amazon releases the Kindle Fire tablet computer/eReader in October and sells more the 25 million by the end of the year. There are more than 600,000 iPhone/iPad apps and 400,000 Android apps. More than 5.6 million iPhone apps are downloaded daily. There are more than 800 million Facebook users (more than 1 in 10 on the planet). Major revolution occurs in the Middle East kindled by mobile phones and social media. 1.2 billion mobile apps were downloaded over the Christmas 2011 holidays. FutureWatch 2011 Survey and others indicate that more than 80% of meeting professionals use smartphones and other mobile devices in their jobs. Yet, relatively few planners (9%) have used mobile applications yet for their own meetings. The first “virtual wine tasting” occurs at Event Camp Europe using Google Hangouts (a free multiple location video conference product). Attendees at the main location in London, and pods of attendees in Poland and Sweden, were all provided wine. Using this free video conference too, attendee in all locations simultaneously heard/saw the description of the wine from the host, felt the wine glasses, saw the color and legs of the wine, smelled the bouquet and tasted it. All five senses were engaged. Cvent received a $136 million investment, the largest round of funding in the history of the meetings and events technology industry. Active Network acquires StarCite. Previous merges of these two companies include some of the major pioneers of meetings technology: RegWeb, b-there, seeUthere, PlanSoft, OnVantage, RegOnline and WingateWeb — another step in the consolidation of major meetings technology companies. This list is far from comprehensive. Please send in your meetings technology milestones to include. 10 of 12 Meetings Technology Trends to Watch for 2012: iPads and tablets will provide a new medium for accessing data at events. 10. iPads and tablets will provide a new medium for accessing data at events. The iPad is the most recent of the long-running, game-changing innovations from Apple. The Mac brought the widespread use of the mouse and graphical user interface to portable computing (1984); the iPod changed how we listened to music (2001); the iPhone revolutionized mobile phones (2007), the App Store is changing the software procurement model (2008), and the iPad (2010)/iPad2 (2011) is having similar long-term ramifications. The iPad and other tablet devices represent new ways to access information. Light weight, highly mobile, highly intuitive. The larger screen allow for bigger fonts, easier readability and more real estate to display material in a page-like format. The navigation is intuitive (with your fingers instead of a keyboard and mouse). We do business away from our offices and from our “large screen” computers on a regular basis. We constantly need to manage a wide range of data at events. For lack of a better way until now, much of these data have been in the form of paper. Tablets will increasingly be used at events for interactive conference programs, course notes distributions, surveys, interactive exhibit floor plans, product displays, information kiosks, lead exchange, speaker Q&A, onsite blogging/social networking and more. NFC provides simplified wireless data exchange and transactions using mobile devices in close proximity to each other, usually no more a few centimeters apart. It is expected to become a widely used system for making payments by smartphone in the U.S.
NFC has been used in Europe for the past few years (I have personally seen people paying for packing meters and tram rides in Estonia simply by tapping their phone to the transaction device). ITN International (itn-international.com) has successfully used NFC at events for some time including contact exchange, e-ticketing, and micropayments. There are also companies such as Poken.com using NFC to provide many of these features with a small, inexpensive (US$18), NFC-enabled “pokenTAG” that is worn around the neck and glows green when information is exchanged. 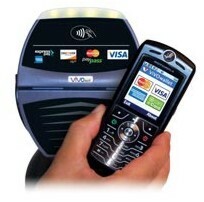 The game changer, however, will be when NFC becomes commonly available in mobile phones. Blackberry’s three new Curve models are NFC-enabled as are dozens of Android phones and many Nokia phones. The tipping point, however, may be if the soon-to-be-released iPhone5 will offer NFC. Whether it is this year, or next, NFC will provide much better and faster data exchange, ticketing and micropayment options for events.